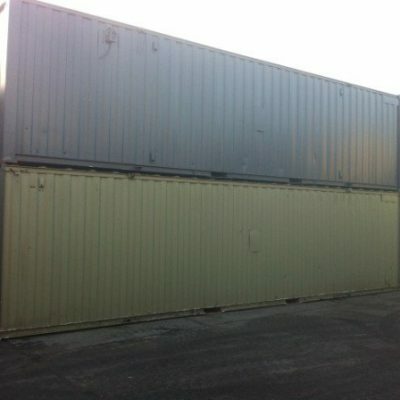 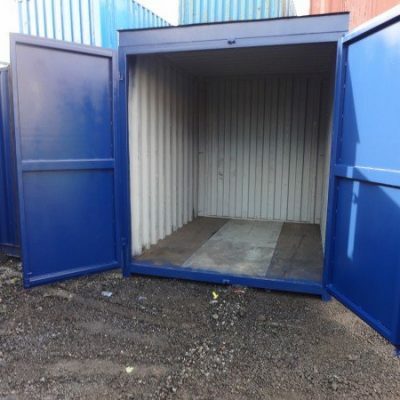 30ft x 8ft steel store blue in colour with a lock box to the double doors. 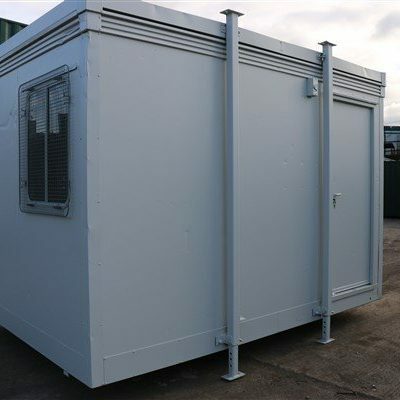 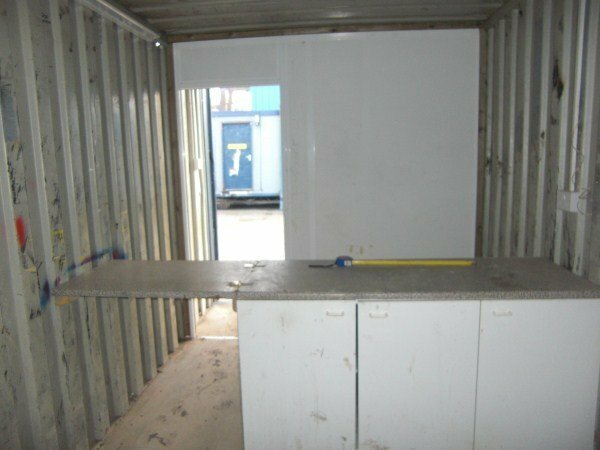 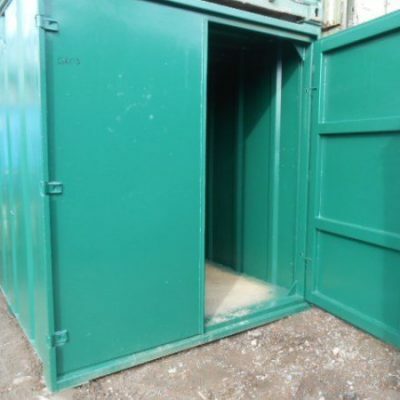 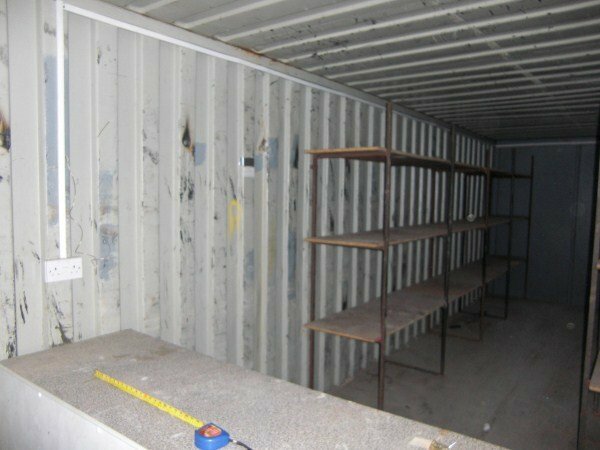 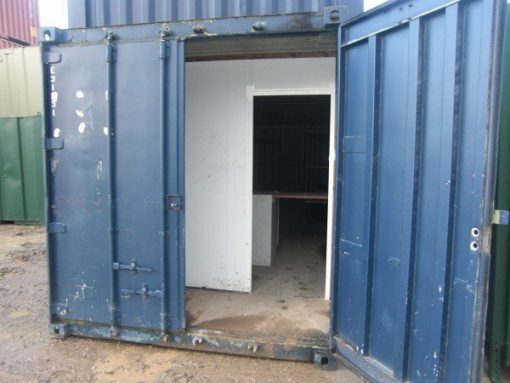 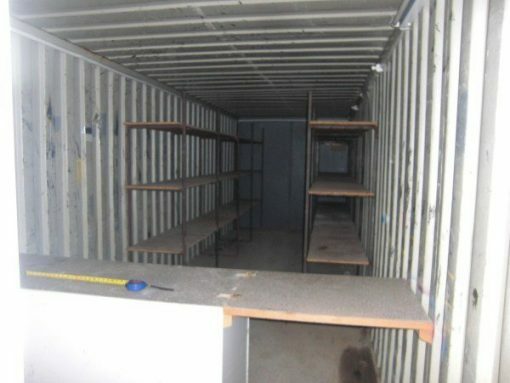 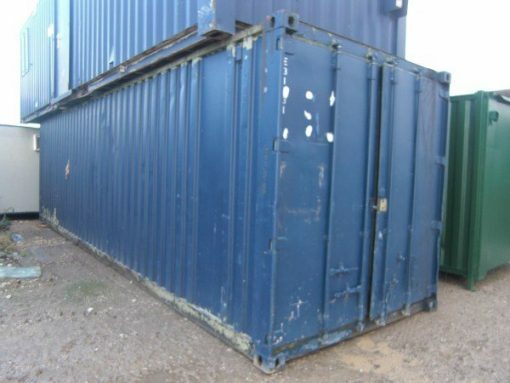 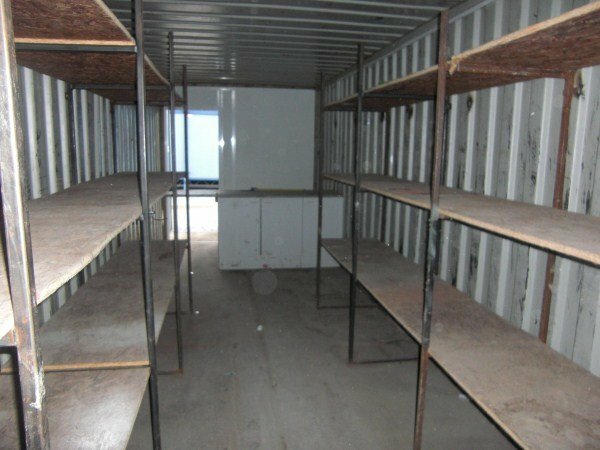 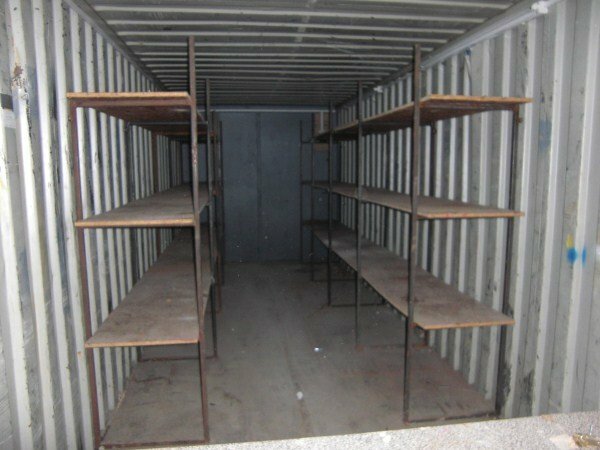 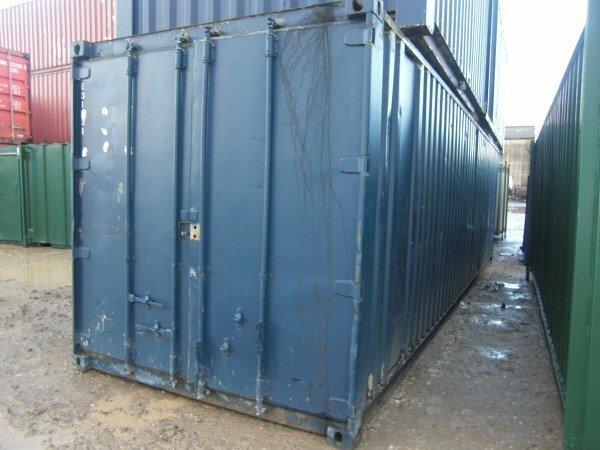 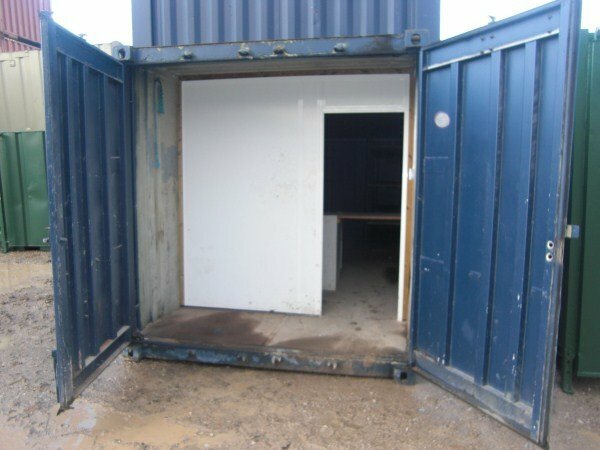 This container has an internal entrance partition fitted that can be removed if required .The container has a service counter , lighting and sockets. Racking has been fitted down each side of the unit.